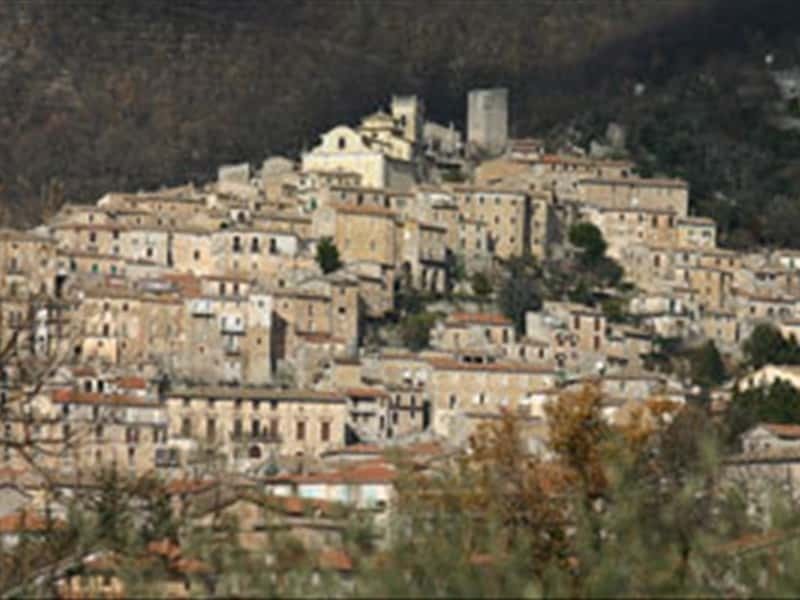 San Donato Val di Comino is one of the most impressive picturesque villages of the Parco Nazionale d'Abruzzo, which faces onto the Region of Lazio, characterized by steps, pathways, steep and narrow streets that lead to a widening or a small square, embellished by beautiful churches. City, already at the times of the Sanniti (ancient Italic population), known as "Cominium", was destroyed by Roman troops in 291 B.C. The cult of San Donato was imported by the Lombards in the VIII century, when the Benedictine monks decided to build a monastery dedicated to the saint, around which developed the first settlement ("Castrum Sancti Donati"). For the first time, the castle was registered in a document in 1269 and during the XIV century, the town became Barony. Between the XV and XVI centuries, the castle was scenario of disputes and clashes between the families Cantelmo, Cardona and Borgia. The centre reached a period of economic and cultural stability with the family Gallio, that administered the lands for about 200 years. - Palazzo Quadrari, with an XVIII century façade in Vanvitelliano style and Roman inscriptions on the walls of the main entrance staircase. This town web page has been visited 25,263 times.